In early 2004, I submitted my Masters thesis to my supervisors. The reason that it was important is that in the four weeks between when I submitted my thesis, to when I started my Ph.D. research work, I had absolutely nothing to do. This gave me a lot of time to explore online for supplies for t-girls. There, I came across the website of Take a Walk on the Wildside. 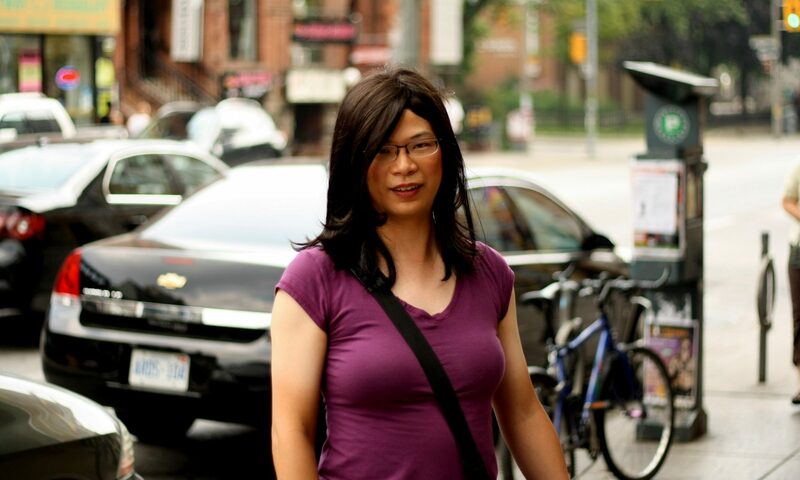 It was a club catering to transgender girls, and better yet, it was right here in Toronto! At that time, they had a make-up artist named Devika who did transformation services. So one Saturday, I made an appointment, drove myself downtown, and went to Wildside. It was a quiet night, with only a few girls there. I got myself made-up—Devika was indeed a skilled artist—changed into the simple that I bought. Most of the other girls had fancy dresses and outfits, but I, well, wore a t-shirt and a skirt. I was a little bit out of place, but nonetheless I felt wonderful. A couple of girls took me out to a TG-friendly restaurant for dinner. I was terrified at first, but things got easier as time went on. Around midnight, the other girls went to a club, while (already exhausted from the evening’s events) I went home. From that day on, I was at Wildside almost every Saturday night, sometimes even Fridays, and sometimes even during the week. Over time though, I built up some friction with the owner of the business. By then I was spending most of my time as a woman anyway (i.e. doing my make-up at home), so I skipped Wildside altogether, preferring to meet with other t-girls at restaurants in the Gay Village area. I have been “credited” with being there for the coming-out of many other t-girls, and slowly my network of friends grew. As a side note: at that time, I was very careful not to have my pictures taken anywhere, and so there aren’t too many pictures from that period. There were a couple of pictures from my first Halloween, then Pride Weekend the following year, with Tiffany and Julie, but that was it. I would slowly get warmed up to the idea of wanting to have my picture taken and posted online, but that wouldn’t happen for awhile.